Tuesday, July 15th began my adventure to the Stampin' Up! Inspire Create Share annual convention. I didn't have to be to the airport until 1:45pm so after I finished packing I prepped a few (19) last minute card swaps to finish on the plane to keep me occupied on the way to Salt Lake City. 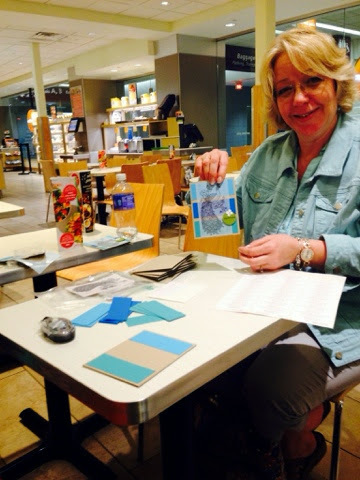 My Create Card-iologists team member Janet & I traveled together. Little did we know that bad weather in Philly would delay all our flights causing us to spend hours at the airport. We finished my card swaps at the airport instead of on the airplane. Then instead of a direct flight to SLC we were re-routed through Phoenix, AZ where we spent the early hours of the morning curled up in the super uncomfortable airport lounge chairs. 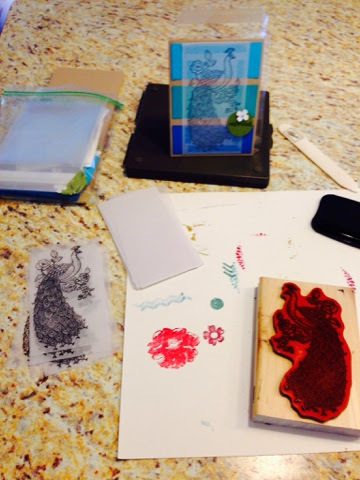 Hopefully we'll be in SLC with our stamping friends soon!